JOEL J. BLOCK is a Partner at GWC. Born and raised in Chicago, Joel is the son of a member of the Teamsters Union and a ten-year police department veteran. He attended The John Marshall Law School while working as a full-time police officer, earning his JD degree in January 1986. Joel was hired shortly thereafter as a prosecutor for the Cook County State’s Attorney’s Office. 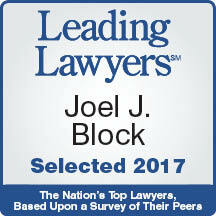 After leaving the State Attorney’s Office in 1990, Joel went into private practice. In February 1995, Joel joined GWC, where he focuses on the area of Workers’ Compensation. Since coming to GWC, Joel has been able to negotiate settlements in hundreds of cases in the range of $150,000.00 to $400,000.00 for some of his most seriously-injured clients. He has consistently made it his practice to maximize the value of his clients’ cases, whether that is accomplished through settlement, trial, or appeal. 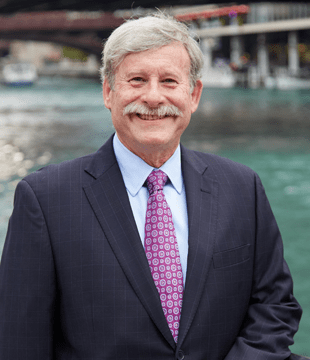 In addition to being licensed to practice law in the States of Illinois and Arizona, Joel has also been licensed by the Federal Court for the Northern District of Illinois. He is a member of the Federal Trial Bar and was admitted to practice before the United States Supreme Court in April 1995.